View “Tweets per Capita” on Slideshare. The Worldwide Congress on Information Technology takes place this week in Amsterdam, Netherlands. As part of my participation, I was asked to deliver a keynote speech on Inclusion. The following research is not comprehensive, but is meant to explore a new metric for technological and cultural progress. I took a sample 24 hours of public Twitter traffic on May 16, 2009 (a Saturday) and May 16, 2010 (a Sunday). Twitter data is from Peoplebrowsr, population data from Wolfram Alpha. The resulting Tweets per Capita is an interesting economic indicator. There were a few surprises here worth further study, some of which I examine in my presentation above: Iran, Haiti, Chile, Venezuela, and the Netherlands. If anyone is interested in combing through the raw data, please contact me. We also seek sponsors to continue this research and develop a regular report on the topic. Thank you, Jan! I hope to continue this research, with more to report later. individual frames in the series. detectors, the outputs of all projeksiyon onarımof which are combined to create the visual experience. affects one or more of the satınal senses, emotions, and intellect. with humans rüya tabiri and generations. için geçerli kural,elektirik canon lamba akımının varlığı veya yokluğu’dur. “Computer technology” redirects here.sony notebook For the company, see Computer Technology Limited. can be changed readily, allowing the computer msi notebook to solve more than one kind of problem. as much power as several hundred modern ekran kartı tamiri personal computers (PCs). are small enough to fit into mobile devices, and can be powered by a small battery. from MP3 players to fighter aircraft and from toys to industrial robots are the most numerous. Awesome stats here, well written! 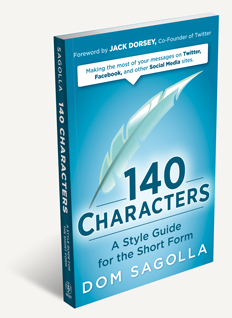 140 Characters is a style guide for the short form by Dom Sagolla, who helped create Twitter. Copyright © 2015 Dom Sagolla. All Rights Reserved.